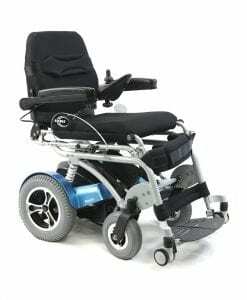 Standing Chair for Quadriplegic is usually a chair that is powered by a battery (or 2), its main purpose is to allow the user to go from a seated position, all the way up to a standing position, which allows them to be more versatile, to reach higher wall placements, and also to promote good posture and allow them to be in a proper straight position. 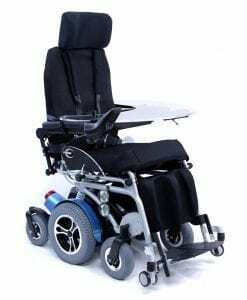 Patients who are comatose who use a standing wheelchair, have shown improved motor response, shortened periods of unconsciousness. 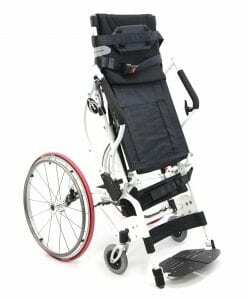 Standing Wheelchairs are either powered by a battery, or manually operated; they are used to achieve regular mobility and to stand the person up without the help/ need of a caregiver lifting them up. 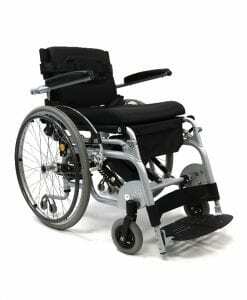 Standing wheelchairs allow users to be in standing position, with the use of either hydraulics or the energy of a battery. 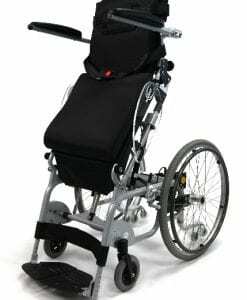 Our Standing chair category includes the XO series, which allows the user to drive the chair while in a standing position, this feature allows them to independently grab and reach for things that they are not capable of using without standing. 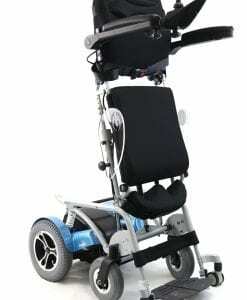 The driving while in a standing position feature is ideal for an oriented user who can do functional tasks while standing, for example, going shopping on their own, or cooking at home while standing. 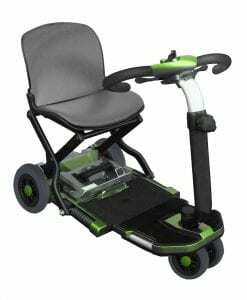 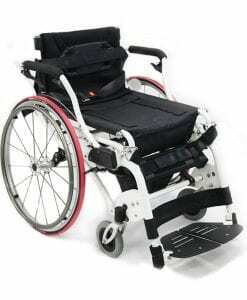 This type of wheelchair is beneficial in more than one way, it is ideal for users with joint contracture, since the vertical height at which the patient can comfortably stand can be controlled by limiting how high the wheelchair will rise. 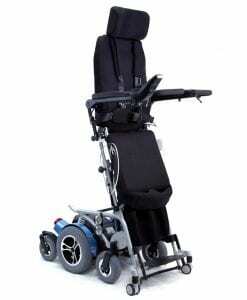 It can be used in this particular way until the muscles elongate enough to allow increased range of motion.